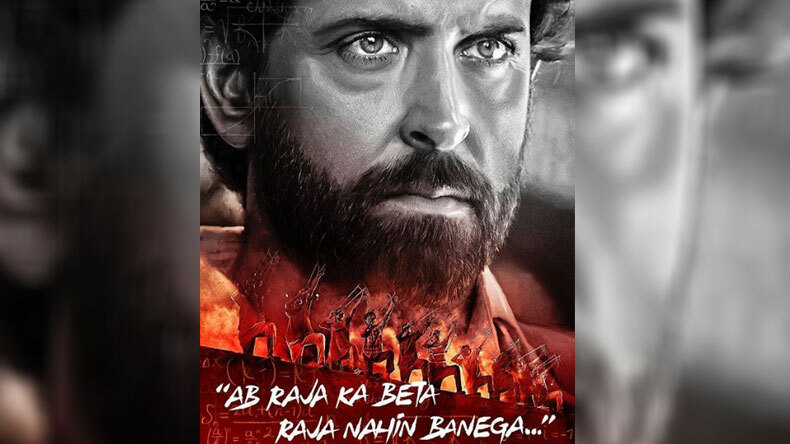 Hrithik Roshan's Super 30 first look poster out: Hrithik Roshan on late Tuesday night took to his Twitter and Instagram pages and unveiled the first poster of his upcoming movie Super 30. The Zindagi Na Milegi Dobara actor will be playing the role of a mathematician, portraying Professor Anand Kumar, who is a mathematician, educationalist and a columnist in real life. Soon after the first look of Hrithik's upcoming was released, it became one of the top trends on Twitter. Hrithik Roshan’s Super 30 first look poster out: The much awaited first look poster of Hrithik Roshan’s upcoming film Super 30 has finally been released. The Agneepath actor will be playing the role of a mathematician, portraying Professor Anand Kumar, who is a mathematician, educationalist and a columnist in the film. Hrithik Roshan on Tuesday night took to his Twitter and Instagram pages and released the first look of his upcoming film Super 30. In the poster, Hrithik Roshan does look like a professor, and we have no doubt that the talented actor will be having any difficulty in essaying the role of a mathematician. Moments after the first look of Hrithik Roshan’s upcoming Super 30 was released by the actor on his social media handles, Super 30 became one of the top trends on Twitter on late Tuesday night. Fans and B-town people, who were eagerly waiting for a glimpse of Hrithik’s look from his upcoming Super 30, gave a thumbs up to the actor. Also Read: Sonakshi Sinha looks like a butterfly in her latest Instagram post, see here! Within minutes after the first look of the film was released, Super 30 poster on Twitter received more than 1k retweets and more than 4.7k likes. While on Instagram, the poster received 207,216 likes. Professor Anand Kumar is a well-known mathematician who trains students to crack Indian Institute of Technology (IIT) entrance exam. According to reports, film Super 30, will focus on the difficulties which have been faced by professor Anand Kumar in his life. Speaking on his biopic, Anand Kumar said that he was delighted and pleasantly surprised to see the first look of Super 30 in which Hrithik Roshan sports a rugged, bearded look.